Like i said just passed the MOT and its booked in for full bodywork and respray in October. 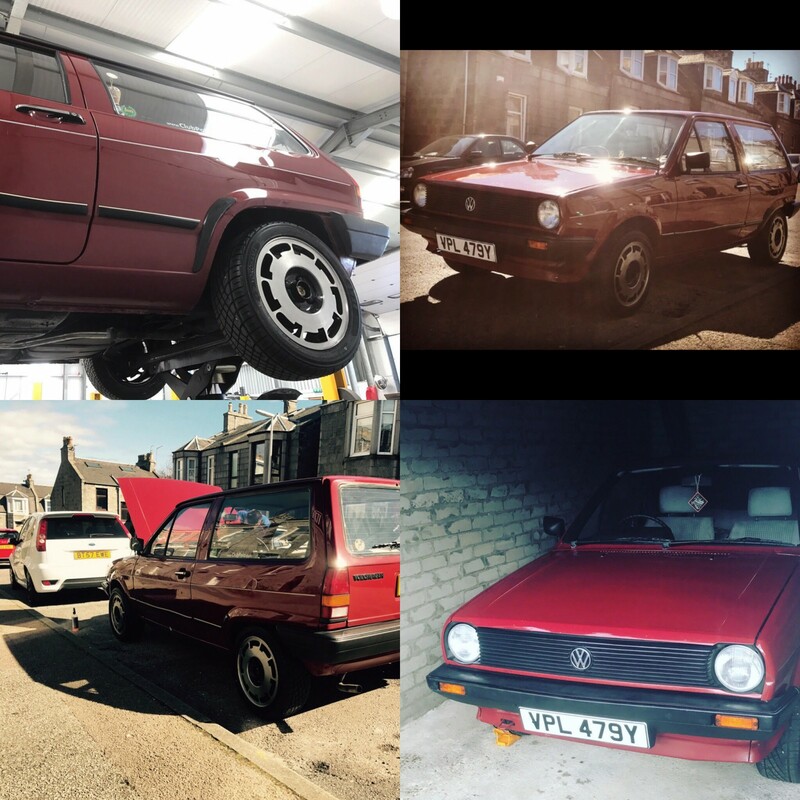 The interior is getting re upholstered as well at the end of the year so if anyone has any pictures of what the original interior on a bread van mk 2 was like that would be great as im wanting to stick as original as possible.....although the seats in it at the moment were taken from a newer polo. How was Blast from the Past? I was going to go but I ended up having other commitments. Unfortunately I don't have any mk2 interior pics but good luck with your search. I stumbled across this show my chance on the way out of Aberdeen, I had not seen it advertised anywhere. I was rather impressed, to the standard of car shows I've been to since I moved up here anyway. Good mix of metal, some stuff immaculate, whereas some stuff was rough! I couldn't believe some of the stuff people were entering into a show & shine. Your Polo looked smart, only Polo there if I recall correctly.